In his newest feature, writer and director Richard Linklater captures the life of a typical American kid — from dealing with his older sister annoyingly singing Britney Spears to consuming mushrooms on his first day of college. Linklater’s independent film “Boyhood” is a drama that follows a boy through his 12-year journey from childhood to adulthood. The film tracks Mason (Ellar Coltrane) as he grows up with his struggling mother, Olivia (Patricia Arquette) and his obnoxious sister, Samantha (Lorelei Linklater). Throughout the film, Mason comes face-to-face with many challenges as he tries to figure out the meaning of this thing called life. As Mason grows from year to year, the viewer sees a realistic perspective of a young kid growing up in America, and the ups and downs that go along with it. One of the most fascinating aspects of the film is how Linklater is able to use the same actors over the course of 12 years to show the many transitions that they face. It is interesting seeing Mason’s transition from a cute, big-eyed innocent kid to a bearded college freshman. Along the way, Mason matures in unexpected ways. Rather than a young man making mistakes and learning from them, what the viewer sees is Mason being dragged through life. Things do happen to him, but he is shown as internalizing these events instead of really reacting. He displays little emotion, and so he comes across as detached and boring. It is noteworthy, however, that he goes through traumatizing experiences without showing the expected emotions. Though he suffers through the divorce of his parents and abuse at the hands of his step-fathers, he does not react like a stereotypical teenager. His journey contradicts notions involving the American dream, homosexuality and manliness. 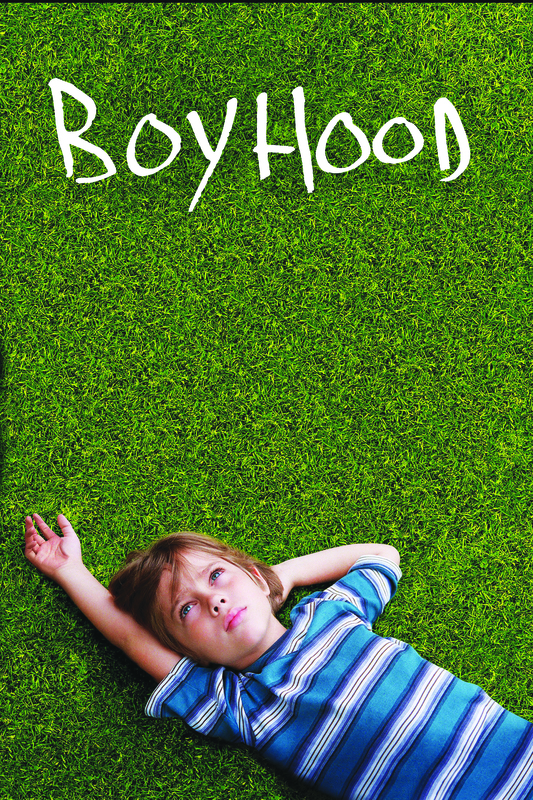 “Boyhood” beautifully represents a perspective in modern-day America that is realistic to how kids grow up. Though not the main character, Mason’s mother, Olivia, is indisputably the strongest in the film. Her scenes are powerful. She leaves her first husband and endures domestic abuse from her second husband, a wealthy man who, despite her high hopes, is a physically and emotionally abusive drunkard. After a series of acts of violence, Olivia decides to take action, leave him and take her kids with her. In the beginning, Olivia is a single mom with little agency, but she takes the initiative to seek a better life and pursue a college degree. She demonstrates a powerful transformation into a woman who makes her own decisions, in many ways exemplifying the modern-day American mother. “Boyhood” is a must-see movie that sheds light on the truth of childhood in America.